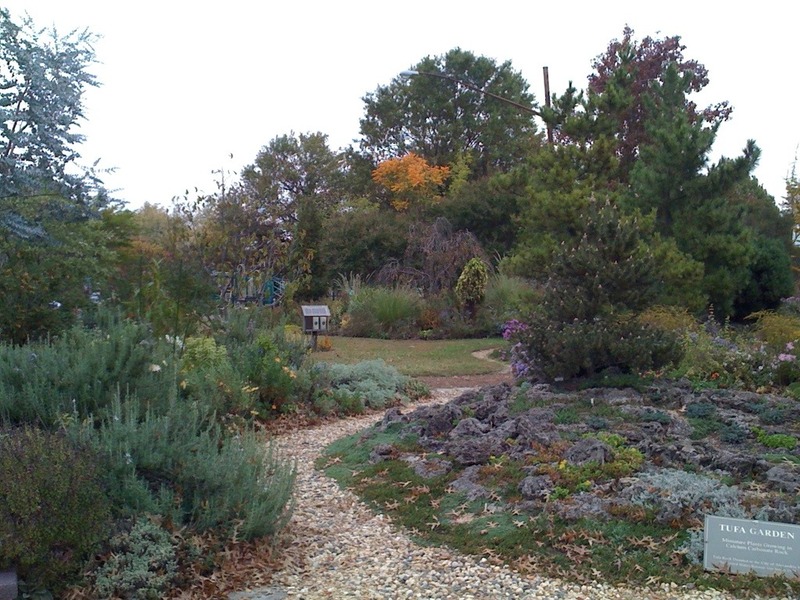 Located in the Del Ray neighborhood of northeast Old Town Alexandria, the Simpson Gardens actually consist of 5 unique gardens, each created to demonstrate a different type of theme. Waterwise, Flagstone, Tufa, Butterfly, and Scented gardens are all found within Simpson Gardens. 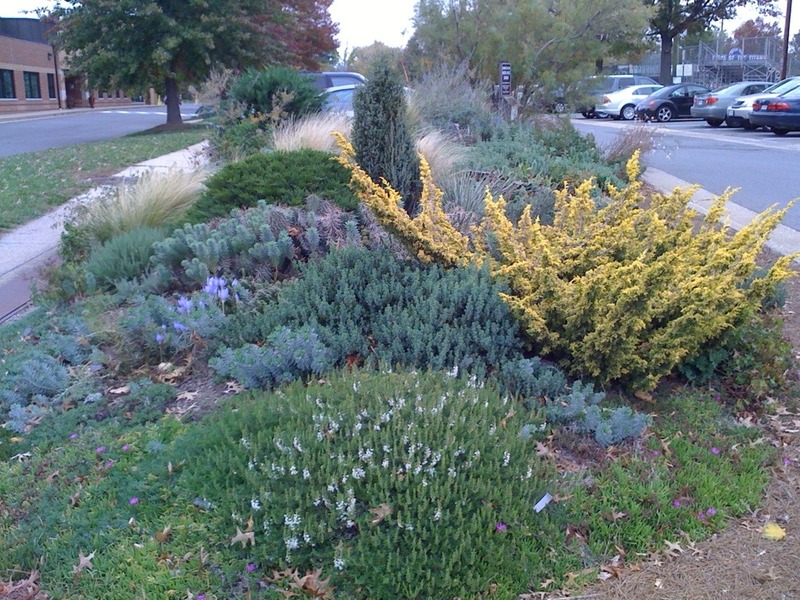 Waterwise Garden – demonstrates that a low maintenance garden in an exposed, dry area can host a rich variety of plants and be attractive year-round. A numbered plant list is available on site for visitors to provide for a self guided tour. Flagstone Garden – designed to show locally available types of flagstone and other materials that homeowners can use for paths and patios. Tufa Garden – features plants suitable for rock gardens in the region. The tufa (porous limestone rock) was a gift from the United States Botanic Garden in Washington D.C.
Scented Garden – focuses on plants with fragrant flowers or aromatic foliage. Visit on a warm sunny day to savor the rich aromas. Butterfly Garden – designed to provide food and protection for all stages of butterfly development, from larva, to the adult butterfly. At times, this garden may appear unkepmt and full of weeds. However many plants which are considered weeds in other gardens are in fact important host plants for many butterfly species. Alexandria, VA 22301, within Simpson Park, between the YMCA and Eugene Simpson baseball stadium. Parking is available in the YMCA lot. Please enjoy some photos of Simpson Gardens by visiting the Simpson Gardens slide shows below.